DESCRIPTION: A private 'mother-in-law' apartment adjoining a new construction private home situated 95' from mean high water offering breathtaking views and sunsets. 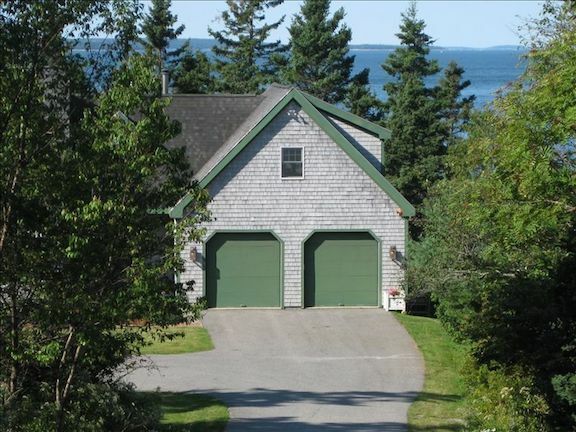 The serene 5 acre wooded property enjoys 300' of rocky beachfront and abuts Acadia National Park and the famous Bass Harbor Head Lighthouse. Bar Harbor and other sections of the Park are just a short drive. The tastefully decorated apartment with private phone and satellite TV with VCR, etc. 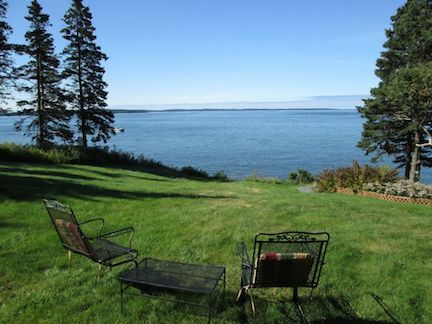 Outside enjoy the quiet serenity of oceanfront estate living and lovely gardens. From the deck, (@ 50 paces walk outside) Adirondack chairs or hammock; listen to offshore bell buoys, smell the salt air, look for shells, watch a harbor seal glide by or an eagle pass overhead. New for 2017 is an ocean side sun room adjacent to the Deck that guests are welcome to enjoy. LAYOUT: LOWER LEVEL: Private entrance and parking in the finished garage which is also where you will find the washer / dryer and a full size refrigerator. SECOND LEVEL: Open living area with a kitchenette/dining area/living room overlooking the water. Bedroom with a queen size bed. 3/4 bath with shower (no tub). Off season <May, June, Sept, Oct> nightly rates will be considered with a 4 night minimum. SPECIAL CONDITIONS: Owners live in attached home on premises. INTERNET: For internet service owners use the tether features of their smartphone which connects to a cellphone tower on nearby Swans Island. They are in fact on the grid and the speed is acceptable to them.